Is Nirvana / Smashing Pumpkins producer Butch Vig going to be producing the new Green Day album? According to Shirley Manson, he is. Last week, Manson - who has recorded four albums with Vig in the band Garbage - appeared on American TV show Last Call With Carson Daly to promote her acting role in Terminator: The Sarah Connor Chronicles. During the interview, Daly asked Manson whether she believed there would ever be a new Garbage album (the band went on "indefinite hiatus" in 2005) and what she said surprised many. "I don't know, to be honest. We're sort of doing our different things," Manson said. "I'm doing the TV show, Butch is producing Green Day, so he's busy, so we'll see." Manson's comments confirmed rumours that have been circulating for a while. The Absolute Punk forums were awash with this rumour back in August 2008, though Green Day have maintained their silence on the issue. 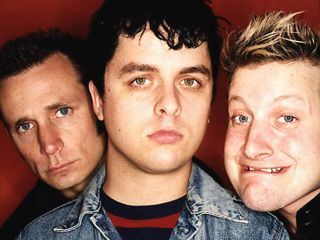 Their last album, the multi-platinum American Idiot, came out over four years ago. As well as working in Garbage, 53-year-old Vig has produced Nirvana's Nevermind, Smashing Pumpkins' Siamese Dream, Jimmy Eat World's Chase The Light and AFI's Sing The Sorrow. Green Day's most recent activity has been under the alias The Foxboro Hot Tubs, who toured and released an album earlier in 2008.